Hey Divas! 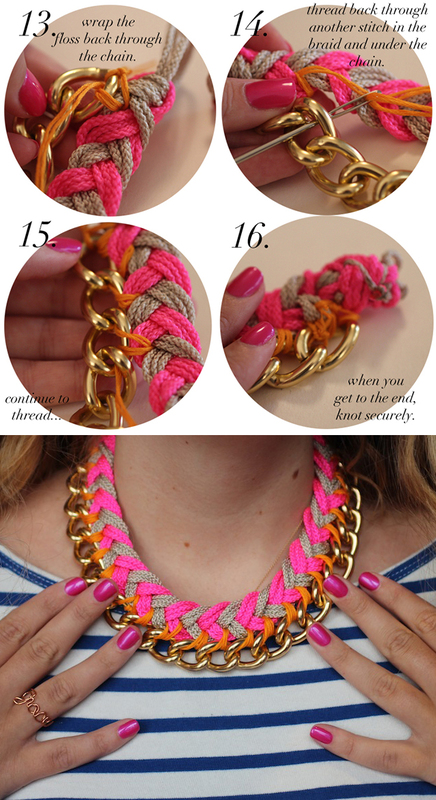 I have fantastic DIY Refined Rope Necklaces for you today. It is a perfect time to make something by yourself, without spending a fortune. 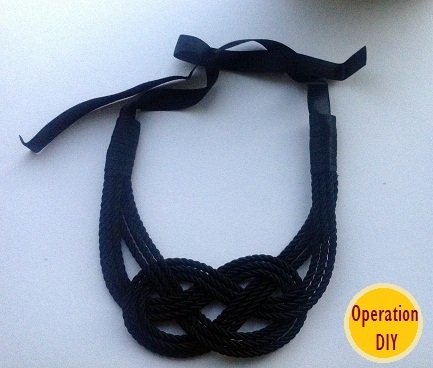 Yesterday I saw very expensive rope necklaces in the store, so I decided to make one at home. 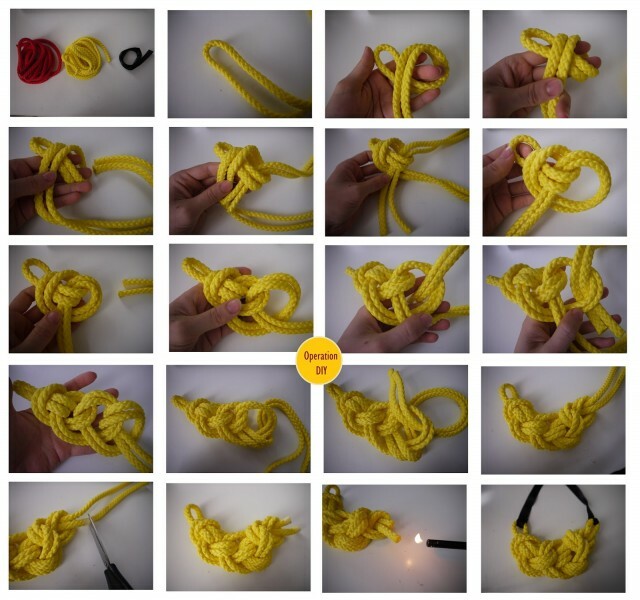 If you have colored ropes at home, this projects are just for you! Try them and you won’t regret it! 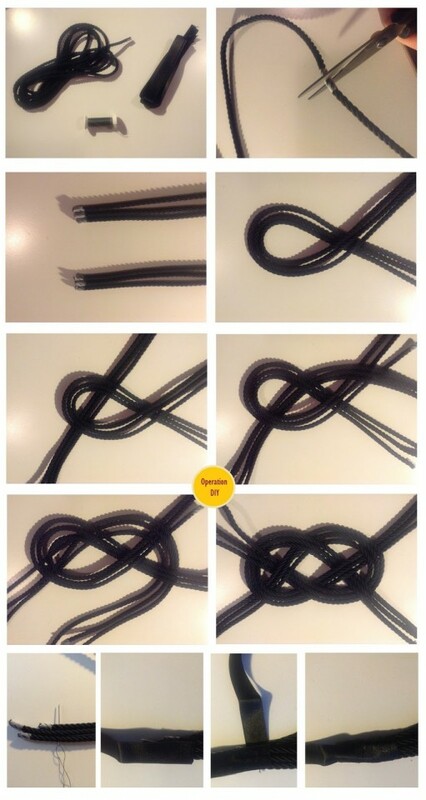 You can make many necklaces with different colors. Why not? Be fashionable and trendy. Although you will save your money, you will improve your skills too. Summer is here and we should definitely add an item like those in the gallery below in our box of accessories. 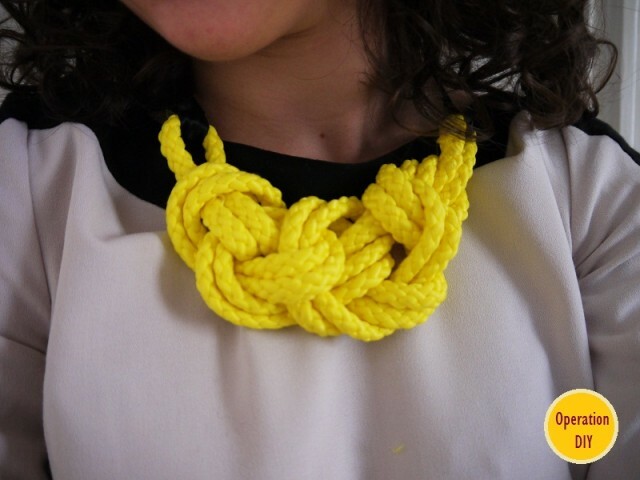 These punchy necklaces are trendy and stylish and you can wear them with everything. You can look fabulous in a jeans and white t-shirt and a colorful necklace. 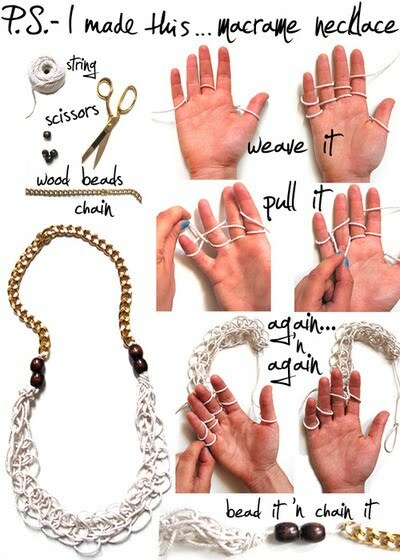 Make your rope necklaces and enjoy the summer! 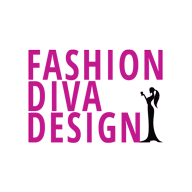 Keep up to date with the contents of Fashion Diva Design!